Here is your clickable resource for everything Nate used to create this landscape. Some of these are affiliate links, thank you for supporting The Workspace for Children. Let’s consider this post to be Playdough 101: Everything You Need To Know About Playdough. Have you ever observed a child or a group of children using playdough? They are so IN IT. No one is telling them what to do, there are no complicated directions, they are free to make and create without adult intrusion. There are no lines to stay inside of and usually, there is not one prescribed task. Actually, play dough seems to be one of the last materials that we still allow children to use withou having our own agenda. Play dough has graced the presence of almost every good preschool program for decades. There are lots of reasons that this is the case. First, it is easy to make and easy to store. You can make it with children or solo, because it’s not complicated at all. The ingredients are inexpensive and readily available. Play dough can be used by itself or with accessories that are found or purchased. There are so many great things about this versatile dough. While it can provide hours of entertainment, play dough is not just worth it’s weight in fun. While children are using dough, they are also and exercising almost all areas of their brains. Playdough is a fantastic tool for fine motor development. Those little hands are developing important muscles used for writing, tying shoes and zipping and buttoning all while playing. Play dough encourages math skills. As the kids take the dough apart and put it back together they are using concepts like ‘part to whole,’ and exploring 3-D and 2-D shape awareness. They are also estimating and measuring, exploring weight and volume. Language development? Check. Have you ever noticed how much your child chats away while playing with play dough? Our children are telling their own stories and the stories of everything around them as they process the dough through their hands and play. Play dough offers our children a sensory learning experience that they can easily control. They can decide how intensely to squish the dough or if they’d rather poke at it with a tool. It offers children an opportunity to go at their own pace. Finally, play dough is about creating and making on their own terms. In my book, that’s the most important kind of learning. Why? When children are in charge of the materials, and can meet them on their own terms, they have the opportunity to truly assimilate their own experiences and knowledge. ﻿I find that cooked play dough is the easiest to make and lasts the longest. That’s just my experience, search Pinterest and you will find many other wonderful recipes that might work better for you. Don’t feel like making it and just want to buy it? I hear you. Sometimes I don’t feel like it either. HERE is my go-to dough to buy. Next, let’s talk storage. Any airtight solution will do. There are lots of pretty options, like glass jars or small clear jars, but my absolute favorite means of storage for homemade playdough is a ziplock bag with all of the air squeezed out. While it might no be the most attractive option, the play dough lasts months and months, without drying out or growing mold. One of my favorite things about playdough is that it’s NOT messy. Well-made dough will not flake and leave a trail on the floor, but just to be on the safe side, make a designated spot for playing. For small children, the floor is probable best. Put down a tray or a large cookie tin on a drop cloth or a sheet. We have THESE drop cloths and use them for everything. For older children just pop that cookie sheet or any tray with a shallow lip up on the table. Put the drop cloth under the table and their chair. When you are finished just shake to off outside. No big deal! Playdough is a wonderful medium for children of all ages. It’s soft, pliable texture offers a soothing sensory experience and an outlet for learning and creativity. How do you feel about playdough? Are you on team make it or team buy it? My six year old has letters and numbers on the brain. After a bit of a slow-to-warm-up phase, she’s loving kindergarten. Recently, her class has been learning about skip counting. Sloane has taken it to heart and I hear her skip counting her toys, singing rhymes about skip counting in bed at night and using her fingers to figuring it all out. The other day, as I sat and procrastinated emptying the dishwasher and switching the laundry, an idea popped into my head and a skip counting activity was born. I had punched a lot of circles last week for another project the were working on, so I pulled those out and labeled each circle with a number from one to fifty. Then I poured some salt in our tray to make a skip counting base. I set it all out on the table and left it to see what Sloane would do. After some initial frustration because she couldn’t locate the numbers she was looking for, it was a hit. She was able to demonstrate a visual representation of skip counting by two’s, five’s and ten’s. This activity would be a great number sense activity if you added some mini pom-poms for setting up a number line with the corresponding amount of pom-poms. In addition to practicing her skip counting, Sloane enjoyed the sensory aspect of running her fingers through the salt, drawing in the salt and making hand prints. There are lots of great ways to use salt trays to set up an invitation to create. The best part? Salt is a cheap, readily available, and you likely have it in your kitchen pantry. Have you used a salt tray? Looking for another salt tray activity? Click HERE. Remember last week when I went on my tangent about reading readiness? I know that Sloane is feeling ready and excited about becoming a reader so I’ve been pulling out lots of sight word activities. You all requested more activity how-to’s and this one couldn’t have been easier. Here’s the deal…I wrote her words on little index cards, poured our jar of gem letters into a shallow bin, and set it out to see what would happen. Guess what? She independently practiced her sight words for twenty minutes…didn’t even look up. She got in the zone and I could see her practicing, testing herself, getting frustrated and working through it, and more. All from this one activity that took me about five minutes to pull together. It was a huge win for me. Have you had any wins lately? We all deserve a little celebration for a win. Drop yours below. It does not have to be parenting related! Just tell me your latest win and how good it made you feel. Thanks for following along with me. Don’t forget to stay in touch by subscribing HERE. Join me on Instagram for daily posts and stories! If you have a new reader in your family, head over to THIS POST by my friend lauren from Happily Ever Elephants. Do you want to keep your child quiet and occupied when you are eating in a restaurant? What about when you are at the doctor’s office and suddenly the wait is over an hour? 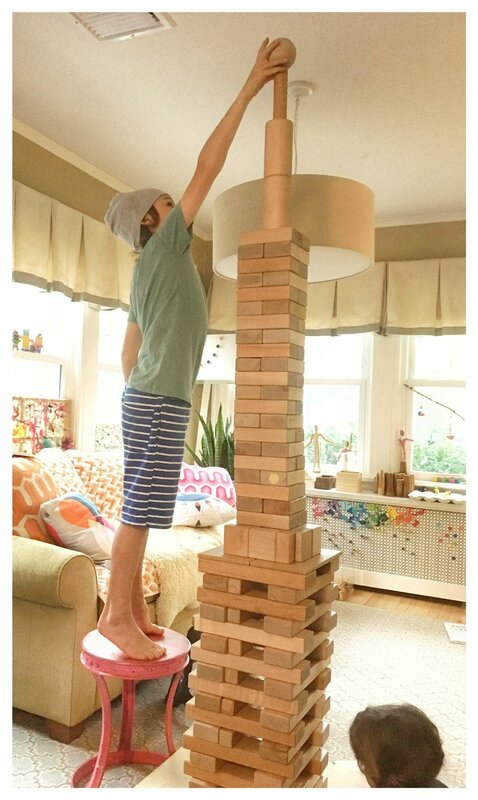 Do you have a little one who you are constantly lugging around to an older sibling’s activities and you don’t want him on a screen while he waits? With three kids, you can bet that I’ve been in all of these situations more than once. Poor Sloane spent half her toddlerhood waiting in the orthodontist’s office for Nate or sitting on a blanket at Ruby’s softball practices. She waited on the benches with me during swim lessons and sat through more than a few dinners out that were way past her bedtime. I bought a bunch of these muslin pouches on Amazon and I filled them with simple, open-ended activities that were mostly mess-free and could be used anywhere. My goal was to put them together once and then have them for hours of entertainment on-the-go for Sloane and her friends or siblings. Yes, this takes a little bit of effort up front, but the reward is SO worth it. Here are my favorite Amazon-friendly materials for you to put together your own little activity pouches for your family, on-the-go. First, you’ll need some of these multi-use muslin pouches. Next, you need some open ended goodies to fill them with! Mini Felt Balls and Wooden Numbers are a simple pouch. This is great for number recognition, patterning, color play, early math and counting. Let your child explore without guiding. Plus-Plus Manipulatives are an easy no-brainer. Just dump them in a pouch and you are set! Tiny Colored Blocks- These are great on their own, or to add in with animals or vehicles. Just dump them into a little pouch and you are ready! Art Pouch for open-ended art on-the-go. 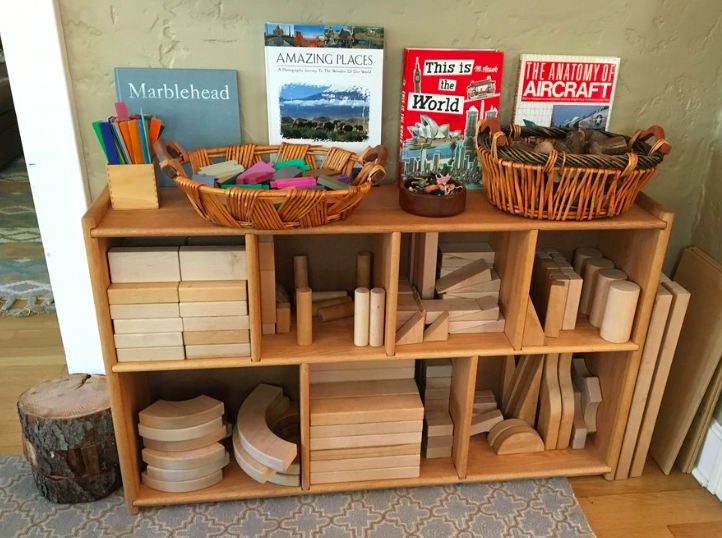 These materials are fantastic for grownups and children of all ages. Click the images above to go directly to amazon and find these items. These are affiliate links, which means I get a small kickback when you purchase through my links. It does not cost you anything. Thank you for supporting The Workspace for Children. Please remember to subscribe to my website by clicking here! Join me over on Instagram for daily posts and stories about raising creative kids. 1. I poured salt in 2 small bowls. 2. Added a squirt of neon watercolor into each and mixed it. It was pretty impossible to resist. All three kids were writing and designing (and fighting and elbowing for space around the tray). How will you inspire learning in your home or classroom today? . Want to know more about salt tray learning? Pop over to Jen’s Blog to learn more.